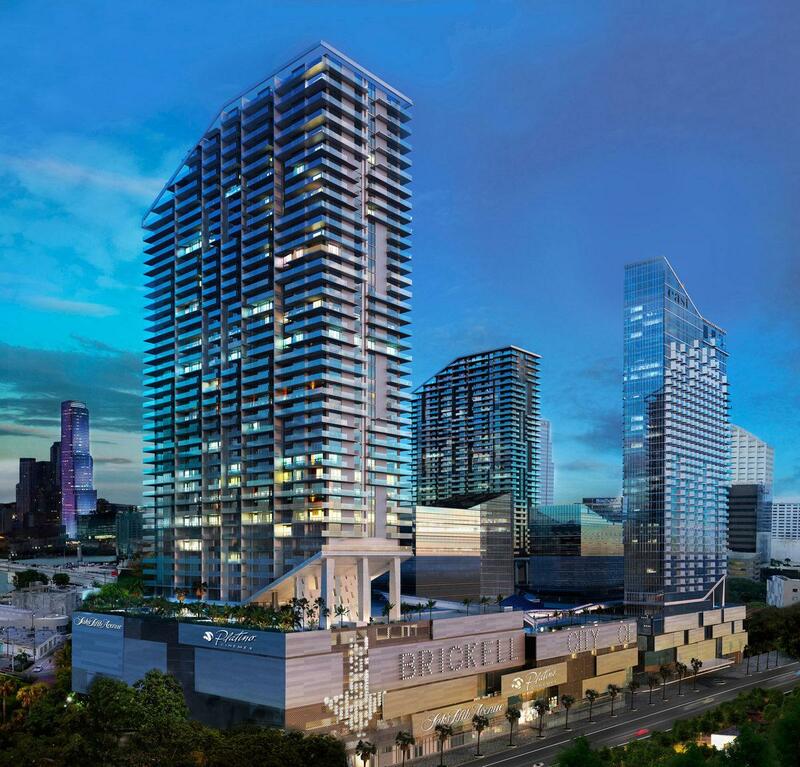 Brickell City Centre’s west block, the biggest at the project, is now topped off. The west block includes the 43-story RISE condo tower, a four-story retail center where Saks is planned, along with one of two office towers that will be included in the project. Developer Swire Properties celebrated the topping-off at a ceremony with over 700 construction workers last week. Crews laid the last piece of steel on the 43rd floor, then hoisted the ceremonial tree to the top of the tower. Afterwards, workers were given the rest of the day off. The project’s second condominium tower, REACH, is set to top off in February. The project’s EAST hotel tower topped off in December. Swire says that the project remains on schedule to open by the end of 2015. Construction began in 2012. Swire again displays its top developer pedigree. The company works like a clock. Now they need to buy out hapless Genting and build something spectacular on former Herald site. I can’t wait to do christmas shopping in there. “I hope the rebar is made out of steel and not plastic”…you probably also hope that walls are not made of paper, and foundation is not made of clay. Leave humor to professionals, would you? Im excited about this. I took pictures of the construction last time I was in Miami. Cant wait to see the finished product.